Crikey! 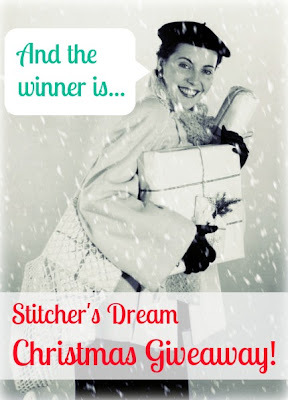 There were 720 entries to the Stitcher's Dream Christmas Giveaway. 720! Understandable, I guess - who wouldn't want to win tons of fabric, patterns and other stitchy goodies? But, as they say, there can only be one winner. Félicitations Camille / Mamie!!! Enjoy your goodies... ooh and don't forget to show us what you make!